Background/Purpose: Biologics have become the standard of care for treating moderate to severe rheumatoid arthritis (RA) in patients with an inadequate response to small molecule disease modifying antirheumatic drugs. Although biologics have been proven effective in managing RA symptoms and disease activity, their long term impact on disability remains unclear. Longitudinal data from a cohort of RA patients enrolled from a single academic medical center were used to examine the link between RA patient disability and biologic exposure. Methods: Linear mixed repeated measures regression was used to model the impact of biologic exposure on changes in disease activity (DAS-28 CRP) and disability (modified Health Assessment Questionnaire [mHAQ]). At each follow up, biologic exposure was quantified as the ratio of a patient’s time on a biologic relative to their time participating in the cohort. Patients’ yearly biologic exposure, outcome scores, and associated covariates were incorporated over a maximum of 13 years into the longitudinal regression models to identify predictors of disease activity and disability at the population level. Results: The analysis included 1,395 RA patients, 82.2% female, with a total of 6,783 unique physician visits from 2003 to 2015. Average disease duration at enrollment was 12.7 years. Longer biologic exposure was associated with a significant reduction in annual population means for both disease activity and disability (p < 0.0001, Figure 1). Patients’ DAS-28 or mHAQ score at enrollment was the strongest predictor of disease activity and disability in models, respectively (p < 0.0001). While, shorter disease duration (p <0.0001), not using a biologic at enrollment (p < 0.0001), and use of methotrexate (p < 0.0003) were significant predictors of reduced disease activity and disability in the models. Conclusion: Longer biologic exposure is associated with reduced disease activity and disability in this longitudinal population of RA patients. Although biologic use improves the functional status of the population, patient RA status at enrollment remains the most significant predictor of disability. The results of the longitudinal models developed here suggest that use of biologics may help to reduce long term disease activity and disability in the RA population. Disclosure: N. A. Shadick, UCB, Amgen, Crescendo Biosciences, BMS, Mallinckrodt, 2,Bristol-Myers Squibb, 5; N. Gerlanc, None; M. Frits, None; B. S. Stolshek, Amgen, 1,Amgen, 3; B. Brady, None; C. Iannaccone, None; D. Collier, Amgen, 1,Amgen, 3; J. Cui, None; A. Mutebi, Amgen, 1,Amgen, 3; M. Weinblatt, Amgen, 2,Bristol-Myers Squibb, 2,Crescendo Bioscience, 2,UCB, 2,Amgen, 5,Bristol-Myers Squibb, 5,Cresendo Bioscience, 5,UCB, 5. Shadick NA, Gerlanc N, Frits M, Stolshek BS, Brady B, Iannaccone C, Collier D, Cui J, Mutebi A, Weinblatt M. The Longitudinal Impact of Biologic Use on Disability within a RA Registry [abstract]. Arthritis Rheumatol. 2016; 68 (suppl 10). 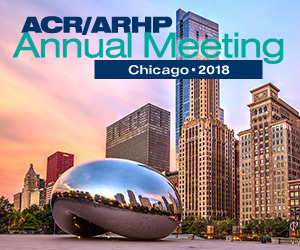 https://acrabstracts.org/abstract/the-longitudinal-impact-of-biologic-use-on-disability-within-a-ra-registry/. Accessed April 18, 2019.